It is Spring gift-time again! 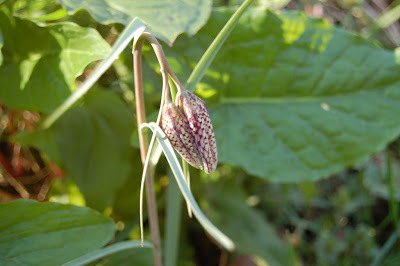 The arrival of this Snakeshead Fritillary (just the one but all the more wondrous for that) beside our pond not only gladdens the heart with its fragile beauty but also reminds us of the legacy of Robin Tanner . . . his consummate etchings of course but also his encouragement of us (among so many others) in our early endeavours including the lovely books we did with him and with his wife Heather. 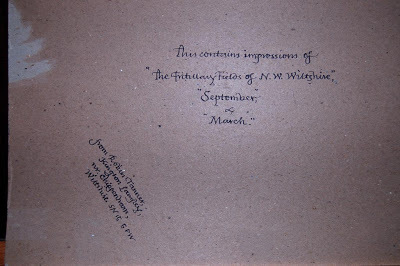 I was pleased to dig out this piece of board that brought three of the etchings to us many years ago and which bore examples of his superb hand writing that all those who corresponded with him treasured. 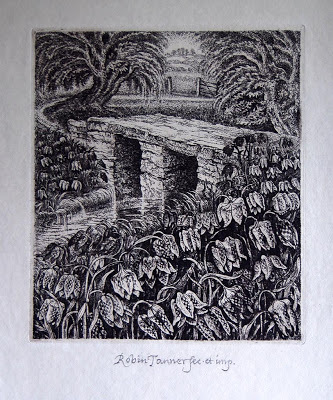 This was one of my favourite of Robin’s etchings. No need for him to make do with just the one flower!